Carina Bauer, CEO of the IMEX Group has been presented with the Leadership Award in Collaboration by the Timothy S.Y. Lam Foundation (TSYLF) at the annual Spirit of Hospitality Rockin’ Celebration Awards. The presentation was made by Julius Solaris, Editor of Event Manager Blog at the Awards Dinner at the Four Seasons Hotel in Las Vegas just before IMEX America 2018. The Spirit of Hospitality Awards are presented to those in the community that make significant contributions to the hospitality industry. Each awardee is currently or has recently been in leadership roles in the hospitality organizations that drive our industry. Their dedication and passion are shining examples of the hospitality industry. 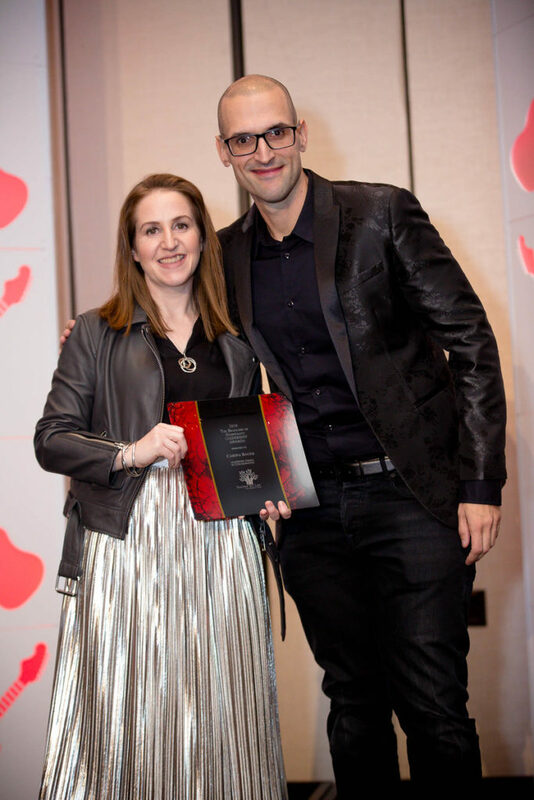 arina has been recognized with the Leadership Award in Collaboration category for her leadership within the hospitality community towards building relationships that benefit all sectors of the industry. The Timothy S. Y. Lam Foundation (TSYLF) is a 501(c)(3) private foundation established in 2012 to honor the legacy of Timothy S Y Lam by supporting the professional development and academic advancement of the hospitality industry. The mission of TSYLF is to support research, education and training within the hospitality industry by bestowing scholarships and grants to those seeking careers or advancement in the hospitality industry; funding education programs that promote the hospitality industry; and awarding research grants to those interested in blending academia with practical industry know-how. eTurboNews is a proud media partner at the event and will be exhibiting.